Anyone who takes a vacation to Italy and enjoys a Florence tour will not be surprised to learn the Galileo, the wise philosopher and scientist considered the father of modern science, was from Tuscany. Imagine him surveying the rolling hillsides and enjoying a glass of his favourite local wine and making the connection between the robust flavours and the seemingly endless sunshine. As soon as you embark on Italy wine tours in Florence you can’t help but notice the almost perpetual glow of sunshine over the wineries nestled in the winding roads and hillsides of the unbelievably beautiful Tuscan countryside. It is easy to imagine Galileo making this observation while enjoying a glass of his favourite local wine. Exceptional wines with robust flavours and seemingly endless sunshine continue to be produced in this generation just as they did in the late 1500s and earlier. How sunny is this world-renowned wine region? The weather from late spring and summer into early fall is very warm and usually sunny especially near the western coast that borders the Tyrrhenian Sea. If you haven’t already seen the 2003 film Under the Tuscan Sun starring Diane Lane and Sandra Oh, find it to get a glimpse of this central Italian region through American eyes. When Lane’s character is blue over the end of her marriage, she takes a trip to Tuscany and impulsively buys a villa. 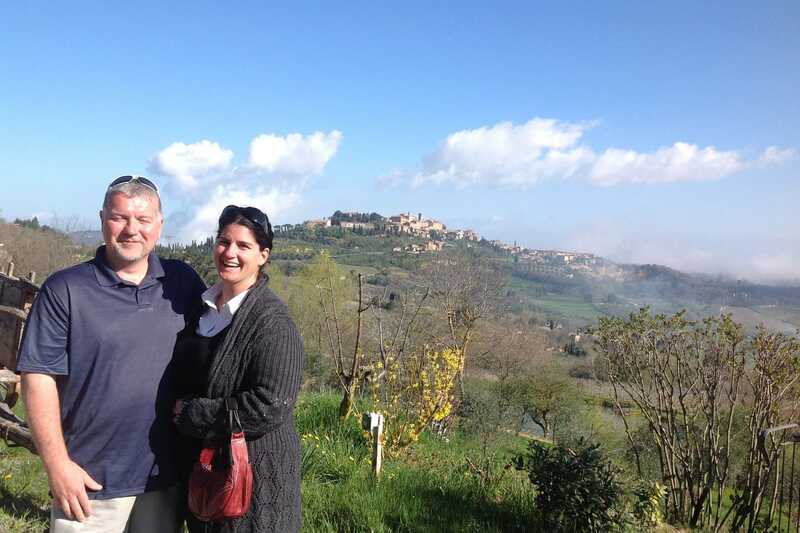 As she renovates the crumbling home and navigates life in Italy, the scenery is breathtaking. And throughout the film, through all her emotions and experiences, the Tuscan sun is shining. The rich hilly soil and warm weather in growing seasons is ideal for cultivating grapes, which have been grown in this region for centuries. Here, perhaps on a Private Tuscany Chianti Wine & Hill Towns Tour, you will discover the rich winemaking heritage that has existed among the Tuscan hills since the early days when the Etruscans were said to have harvested grapes that grew on wild vines. What is amazing about Tuscany, the cradle of the artistic rebirth known as the Renaissance, is that here winemaking is more art than industry. Turning grapes into fine wine is an ancient tradition here and there are winemaking families who have been at the craft for a thousand years. Experienced wine tasters know well the delights to expect not far from museums like the Uffizi or Pitti Palace and within a short drive from must-see sites like the historic centre of Florence, the equally breathtaking centre of Siena and the legendary Cathedral of Pisa, there are famous wines. The names familiar to wine aficionados will soon be familiar to novices: Chianti, Brunello di Montalcino, Vino Nobile di Montepulciano, and the delicate dessert wine called Vin Santo (Holy Wine). More modern winemakers have carved outrespectability in just the last few decades with award-winning Super Tuscans. 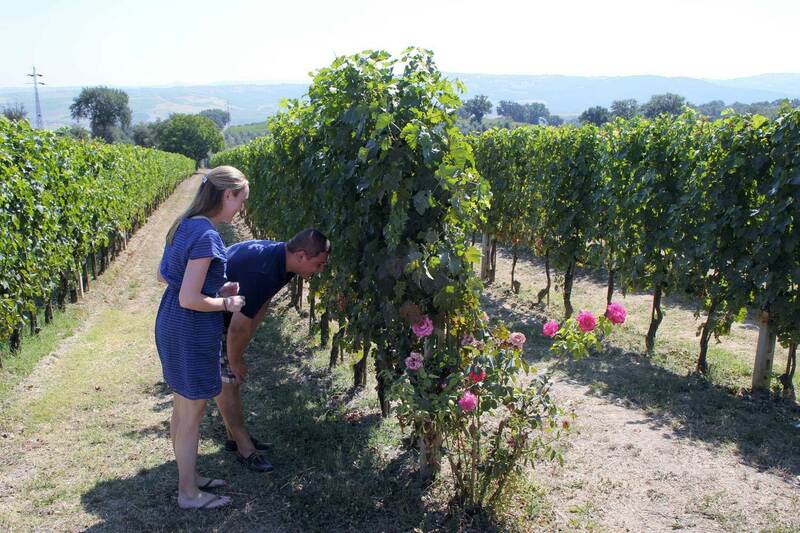 The best part of taking a tour with an experienced, licensed guide – next to sampling the diverse wines of Tuscany – is learning as you soak in the local ambience and culture. Skilled storytelling entertains and informs, and all the while the beautiful scenery and astounding architecture in places like the medieval hilltown of Montalcino or the ancient terracotta furnaces in the hilltop town of Impruneta will captivate you. Exploring Tuscany is a delight for all the senses. Whether you choose to take a Small Group Tuscany Chianti Wine Tour, learn about Super Tuscans on a Private Tuscany Sassicaia Wine Tour, or a Private Tuscany Brunello di Montalcino Wine Tour– or indulge in more than one excursion into this diverse region - you can’t go wrong. Ready to experience Tuscan wineries and tastings in person? Visit Avventure Bellissime online now to book your next Italian vacation.